Known world-wide as one of the most naturally beautiful areas on Earth, British Columbia, Canada, has much to attract travelers and adventurers of all stripes – abundant and amazing wildlife, majestic snow-capped peaks, lush rain forests, scenic wild rivers and wonderful beaches. Additionally, the Province is every bit as marvelous beneath the surface of its waters as it is topside, and scuba divers from around the world flock to dive there each year. One of the biggest underwater draws, particularly for deep-water technical divers, is the wonderful number of historic shipwrecks that can be found throughout the Province. Diving on such a wreck enables divers to combine sheer adventure with the thrills that can be found within the pages of history. The maritime history of British Columbia is so rich that virtually anywhere along its coastline divers can find incredible shipwrecks. Recently, AtlasOmega Publisher Calvin Tang and Editor John Rawlings traveled northward with a select team of technical divers and had just such an opportunity to taste a few of British Columbia’s shipwrecks….diving in the huge Strait of Georgia that separates the Canadian mainland from Vancouver Island. The article you’re about to read is a blend of historical context surrounding three particularly alluring shipwrecks, along with a narrative of our recent dives on them. 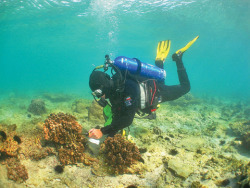 Each of us strived to blend our particular interests and talents into the creation of a different kind of article – John concentrated on the historical aspects of the wrecks while Calvin strove to convey a firsthand account of the dives themselves. The accompanying photos vary in date taken from over 100 years ago to current day, 2011. The smell of wood smoke permeated the air and Captain Samuel Nelson’s lungs were raspy because of it. It was late September, a prime time of year for intense logging on the coast of British Columbia, and the slash burning that went along with it. The smoke from the fires had been so thick on this voyage that it added to the inky blackness of the night, making the darkness seem even deeper than it really was. The Captain had been so concerned by the poor visibility that he had personally taken the Capilano, a 122 foot long cargo steamship, through Malaspina Strait, between Texada Island and the mainland, worried that in the poor conditions having anyone else at the helm might lead to the ship running aground or worse. Finally, once the ship had made it past Scotch Fir Point, he had breathed a sigh of relief, turned the wheel over to the second mate, and stumbled down to his cabin for some much needed rest. Sleep came hard- but eventually it did come to the exhausted Captain. The steamship Capilano at dockside in Vancouver, BC, probably sometime around 1900. The Capilano was a mainstay along the British Columbia coast for the Union Steamship Company between her launching in 1891 and her sinking in 1915. Photo courtesy of the Vancouver Maritime Museum. Around 9:25 PM the Capilano struck a submerged object. The slight lurch that was felt by the crewmen on duty was not enough to awaken the Captain, and most of the crew thought they had simply struck a log, a common enough occurrence off a coast dominated by the logging industry. No one thought enough of it to even send below for the Captain. A few minutes later, however, he shot from his bunk when he heard the blast of the ship’s whistle and the incredibly short echo off of nearby land – a mere 5 seconds! Dashing into the wheelhouse, Captain Nelson hollered at the helmsman to “haul her to the westward….Port!” Eyes wide and desperately peering into the sooty blackness, no one could see even a dim outline of the peril they had ostensibly avoided. Unbeknownst to Captain Nelson and his crew, however, the Capilano had already received her death blow. The Captain turned his ship toward Vanada, a small port town around two miles away, and upon arrival there Captain Nelson and his 16 man crew examined the Capilano as well as they could from bow to stern. No leaks were found and nothing whatsoever seemed amiss. Perhaps it really had been a log…..perhaps they really had missed the jagged rocks they had come so close to in the darkness. Relieved, Captain Nelson decided to continue the voyage and the Capilano steamed back out to sea sometime around 11:00 PM. With a long and successful history carrying both passengers and freight for the Union Steamship Company, the Capilano and her Captain had a reputation to uphold, and it was high time that they got to it…. Sometime around 1:30 AM, struggling with rain and a strong southeasterly wind, it was suddenly realized that that Capilano was listing heavily to port. Once again the ship was examined and the crew was stunned to find that there was already two feet of water in the lower hold, and that water was both quickly and steadily rising. Later, it would be speculated that the “submerged object” the ship had struck earlier had in fact been a submerged rock and that part of that rock was carried away embedded in the hull like a cork. The rock apparently had worked its way out of the hole in the hull when the ship had encountered rough conditions. At the time it was happening, though, the only things that both the Captain and crew knew was that water was rushing into their ship and they had absolutely no means of stopping it. In a desperate attempt to save his ship, Captain Nelson turned her toward the port of Campbell River, hoping against hope that she would stay afloat just long enough to reach it. It was not to be. As tons of water literally gushed into the ship and she waddled along beaten with the wind and waves, her cargo became unstable. Heavy gasoline drums broke through their lashings and crashed back and forth within the hold as the Capilano rolled with the massive waves. It quickly began to dawn on the Captain and crew that the ship could literally sink at any moment and without warning. Conditions ultimately became so terrifying that the crew abandoned ship around 3:00 AM in a large lifeboat. According to the testimony of the Captain and crew, the Capilano finally plunged to the bottom around 5:30 AM, her lights still blazing in the darkness and her whistle giving one last mournful blast, a sound harshly quieted by the onrushing waters. The Capilano lay undisturbed for almost 60 years – despite the survival of her Captain and crew, her exact location was completely unknown as when they had abandoned ship it had been in utter darkness, and they had no visual reference points. In 1972 a fisherman happened to pull up a piece of wreckage and subsequently mentioned it to a friend that just happened to be a diver. Shortly thereafter that diver and his buddy investigated and found one of the most beautiful cold-water shipwrecks they had ever seen, lying in about 130 feet of saltwater (FSW). For years the location of the Capilano was kept a closely guarded secret but gradually more and more divers became aware of its location. Still, even to this day it can at times be difficult to try to squeeze information out from a local about the shipwreck’s location. The Capilano sits completely upright, almost as if it were still under steam. The ship is relatively intact, with the exception of its wooden parts which have long since disintegrated and been eaten away by marine worms. The metal parts of the ship are almost completely enshrouded by a cloak of billowy white Plumose Anemones, causing it to look almost cotton-like. An educational plaque from Underwater Archaeological Society of British Columbia (UASBC) was mounted on the stern of the wreck in 1984, and she was named as a Designated Provincial Heritage Site the following year. My dive buddy, Joshua Smith, and I descend down a downline so covered in marine life that I decide to float down beside it, like a slow-motion base jump, rather than destroying the many living creatures that had decided to make a home out of the woven rope line. Along the way, the emerald green, plankton-rich waters envelop us- slowly yielding their luminance to the darkness of the deep water. By the time we reach 100 feet it’s completely pitch dark. Thankfully, we have extremely bright lights with us and I can see the edges of Josh’s light-saber blue canister light, blasting a hole through the black canvas below me. I switch on my SOLA 600 focus light, affixed to the top of my camera housing. Its wide beam is swallowed by the surrounding darkness, but it adds a bit of comfort to be able to see my instruments and the back of Josh’s Megalodon Rebreather. We finally reach the bottom, at around 130 FSW. Josh begins tying a safety device to the downline that will emit a continuous strobe light, showing us the way home should we lose our bearings on the wreck. It won’t turn on. We push forward. The first thing I see is a lush wall of stark white plumose anemones, so thick that even up close I cannot see what they’re attached to. Knowing that it’s the wreck of the Capilano underneath the carpet of anemones resembling a swath of giant-sized cauliflower, I just imagine the possibility that some of these anemones may actually be the original pioneering organisms that chose to make the 94 year old wreck a home. Moving on, I glide down over the wreck and it opens up, roughly into the shape of a small amphitheater, with life absolutely covering the interior of the ship’s hull. Not much is left in the center of the wreck, as wood easily loses its will to the sea. Floating down into the belly of the wreck, I cross paths with underwater videographer Chris Newley, whose bright video lights illuminate the insides of the shipwreck. As the edges of our lights begin to reflect off of the hull, we see mostly brownish-green outlines and murky shapes. The center of the powerful beams bring out a full bloom of bright orange, yellow and stark white colors. All of this is framed in inky black darkness, with the occasional beam of another diver’s light cutting through my field of view. It’s beautiful and eerie at the same time. The worry of losing the downline fades away in my memory, as the bowl shape of the wreck means that most divers are well off of the silty bottom, leaving us with 40 foot visibility and the stunning vantage point of being able to see most of the wreck itself. Lady luck is on our side, so I motion for Josh to swim in front of a large wall of anemones, so that I can fire off a few frames in hopes of showing the relative scale and density of the anemone colonies alongside him. A majestic Lingcod nestled atop a Cloud Sponge on the starboard side of the Capilano wreck. Such sponges can take decades to grow and their bizarre folds serve as hiding places for smaller fish and invertebrates - photo by John Rawlings. At 130 FSW we have a decent amount of bottom time on the wreck itself, and I’m able to do two full circles around the vessel. We eventually make our way back to the line and start heading back up to the surface, doing decompression stops along the way. The water warms up a few degrees, and ambient light starts filtering its way down toward us as we ascend. On the way up I have more time to admire the plethora of life living on the rope line. I daydream that every few feet of the line probably seems like an entire continent to the tiny creatures making a home out of this unusual habitat. I think to myself how this one single rope line probably has more life on it than many entire dive sites back in Washington State, (I was later told that these lines have to be scraped clean every once in awhile to keep them functional, at which I was dismayed). My last decompression stop had me hanging around for 10ish minutes at 12 feet. The current had picked up and we were being draped horizontally by its unrelenting force, holding onto the line in a cluster of divers. Not but a few minutes into this deco stop I suddenly felt an intense sting on my upper lip, (one of the only places on my body exposed to the open water). I turned around just in time to see a young Lion’s Mane jellyfish, about 8 inches in diameter with purple and red tentacles, about 2 feet long, blowing past in the current. After a few expletives and some more deco time, I made my way back to the surface and the deck of the boat. Using vinegar as First Aid (despite the many offers of urine from my comrades) didn’t help much at all, as the searing pain from the sting penetrated all the way back to my teeth. It was worth it, but on the successive dives I kept my gaze steadfast into the current, keeping in mind nature’s little reminder that we are visitors to a foreign space, one that has swallowed entire ships whole. Originally launched in Massachusetts as the steam screw yacht Wenonah in 1915, the vessel that would ultimately meet her end as the MV Gulf Stream had multiple names and a variety of roles during her lifetime. The Wenonah was acquired by the US Navy and escorted convoys during World War I. Following the war’s end the vessel was transferred to the US Coast and Geodetic Survey. Returned to the US Navy in 1922, she remained on the inactive list until 1929 when she was sold to a private party. Returned to her original purpose as a pleasure yacht, the vessel subsequently had several owners and at least two name changes – Stranger in 1935 and Blue Water in 1936. With the advent of World War II in 1939, the ship was acquired by the Canadian Navy and was commissioned in October of 1940 as HMCS Wolf, a member of the “animal class” of naval vessels. Outfitted with a three-inch gun, a 12-pound gun, a two-pound gun, depth charges, machine guns and anti-aircraft guns, HMCS Wolf spent the war on the West coast of Canada performing patrol duties as well as providing training for crews destined for dangerous duty in the Atlantic. With the end of the war, HMCS Wolf was no longer needed and she was put up for sale in 1946. Purchased by Gulf Lines, Ltd. Of Vancouver, British Columbia, the former yacht was refurbished with two reciprocating diesel engines and her physical appearance was almost completely altered – significant changes being done to her housework as well as her bow and stern. Rechristened as the passenger ship MV Gulf Stream, the vessel was put into service hauling passengers and freight between Vancouver and Powell River….she would not be in this role for long. On Saturday, October 11, 1947, the Gulf Stream was heading north from Vancouver with a crew of 21 and 15 passengers. Apparently one additional passenger boarded when the ship stopped at Westview, just south of Powell River. After departing Westview, Captain John E. Craddock set the ship on course for Mace Point on Savary Island, and then turned control over to the Second Mate. Reports indicate that the weather was overcast with southeasterly winds and that the sea was moderately rough. Testimony at the subsequent inquest hearings would be confusing, and it would never be sufficiently determined whether the ship was already off course before control was turned over to the Second Mate. With apparently no warning, at approximately 8:20 PM, the Gulf Stream slammed directly into a well-known and obvious structure called “Dinner Rock”, between Savary Island and the mainland. Somehow the huge rock had gone undetected, and the Gulf Stream was running at full speed at the time of the collision. The violence of the collision was such that the vessel ran up onto the rock a full third of her length and then tipped over about 45 degrees onto her port side. The ship’s stern was forced underwater as her bow launched up onto the rock and several of the aft cabins were suddenly and violently flooded. Some of the passengers found themselves trapped as the water rushed in and were only able to escape by smashing out windows. Tragically, not everyone was able to escape the stranded ship – as the survivors were rescued by a local fishing vessel, the Betty L, it was realized that five of the passengers were missing. Two women and three children could not be accounted for, and it was with sinking hearts that the Captain and crew realized that they had been in the aft cabins. The Gulf Stream was precariously perched on Dinner Rock and anyone boarding the vessel was taking an extreme risk. Harsh weather prevented recovery efforts the following day, but on Monday, October 12th, conditions had calmed enough for hardhat divers to be sent down to search the stern for the missing passengers – one can only imagine how the divers must have felt as they searched the sunken portion of the wreck for the bodies of the missing women and children, all the while within a wreck that could plunge to the bottom at any moment. The divers were able to find and recover four of the missing, but despite their best efforts nothing was ever found of the missing fifth victim. During the night of October 30th the ship slid off the rock and plunged downward into deeper water, her stern at approximately 120 FSW and her bow at approximately 40 FSW. The wreck of the Gulf Stream on Dinner Rock near Savary Island. She lies on her port side with her stern completely awash. The annotation on the back of this photograph states that this photo was taken during the search for the lost passengers in the aft cabins. Photo courtesy of the Vancouver Maritime Museum. Both an inquest and a Department of Transport Commission investigation were held the following month – the former dealing with the causes for the deaths and the latter with the cause of the stranding, although the information and evidence certainly overlapped. Both held that the tragedy was the result of negligence and “wrongful acts” committed by the officers of the Gulf Stream, both the Captain and the Second Mate losing their certifications for several months as a result. Over the years salvagers visited the wreck of the Gulf Stream, using explosives to reach valuable metals such as brass and copper as well as specific parts of the vessel, such as the anchors and large chains. In 1971 an attempt was made to salvage the ship’s propeller by blowing it off with dynamite. The blast forced the ship off of her underwater perch and she plunged still further into deeper water. She now lies on her port side with her deck being almost perpendicular to the bottom, with her stern at approximately 125 FSW and her bow at approximately 170 FSW. The stern is damaged – probably as a result of the ship sliding off Dinner Rock and striking the bottom – and there are large holes in the hull that may have been caused by the use of explosives by salvers. The wooden decks and superstructure have long since disappeared, being eaten by marine worms long ago, but much of the machinery remains. Our team of divers descend down the line onto the wreck of the Gulf Stream quickly and efficiently. The water temperature is a brisk 47 degrees Fahrenheit near the bottom, at around 165 feet. Visibility is fairly good for these parts, at around 30-40 feet. The wreck of the Gulf Stream, from an aesthetic standpoint, stands in sharp contrast to that of the aforementioned Capilano. For one thing, there isn’t much color on it. Though covered in various forms of living or once-living organisms – the wreck itself is predominantly brown in color, with the occasional anemone or cloud sponge finding a home here and there. The shape of the wreck itself is reminiscent of a large skeleton. Beams of metal intersect to create a large rib cage. At one point, I see a light streaming outward from the interior of the wreck – it’s my dive buddy, Josh, emerging from the latticed metal beams. He lives for this type of diving, and it’s nice to see him in his habitat. Out of the other corner of my eye I notice a large object zooming by, and the familiar sound of an underwater propulsion vehicle whirring through the water. It’s Howard Goldberg, diving open circuit doubles, (two scuba tanks joined at the valves for redundancy), darting to and fro using his Submerge Magnus underwater scooter. I fire a shot or two. Being so used to diving together, my two buddies know exactly how to position themselves for the camera, which is nice. Continuing on, we come upon very large Lingcod – roughly 5 feet in length – patiently tolerating the alien visitors to its otherwise peaceful domain. Attempting to photograph the fish, I switch my SOLA focus light to red, which is supposed to be less bothersome to sea creatures. As I glide alongside the belly of the wreck, as nonchalantly as possible toward the Lingcod, I hear the score that accompanies any Darth Vader scene in Star Wars, being hummed by one of my buddies. This is common to hear when the red light comes on, as my buddies liken my appearance to that of the infamous Sith Lord. My camera itself has been given a concomitant name, “the Depth Star”. It’s amazing what you can hear underwater when diving a rebreather, and the sounds of bubbles are few and far between. Before I can get into position, the Lingcod darts off at an impossible speed. I would probably have done the same thing. Rounding the corner of the shipwreck I come upon a bizarre looking apparatus, or is it a creature? It’s both; it’s the co-author of this article, John Rawlings, and his monstrous camera. I try not to blind him with my lights and do a little do-si-do past him. I don’t even think he notices, with his attention squarely focused on a photographic subject. As I move my way on toward the deck side of the ship I see a plaque, commemorating the MV Gulf Stream. I snap a shot or two, not wanting to use the precious bottom time (which is balanced by decompression time on the way back up) to read it. Josh, Howard and I spend a few more minutes on the wreck before angling back up toward the shoreline of the nearby island. Our trajectory takes us on a leisurely ascent up a great slope, one speckled with colorful Orange Sea Pens, Scallops, Crabs and Nudibranchs (meticulously colored sea slugs). Doing decompression stops on dives like this seems to take half of the amount of time as compared to ones in open water; with all of the critters to see in the shallows, my mind is able to occupy itself enough for the deco time to pass quickly and painlessly. In all, it was a rather uneventful (in a good way) and pleasant dive, with familiar dive buddies on a historic wreck off of beautiful Vancouver Island. You can’t ask for much more. Unlike the other wrecks discussed in this article, the Sceptre Squamish had a fairly mundane history, the vessel simply being a working derrick barge that was towed between work sites in the Strait of Georgia. Owned by the Fraser River Pile and Dredge Company, Ltd., the company specialized in providing dredging and pile-driving services throughout British Columbia. A fairly large company, Fraser River owned about 50 vessels and large quantities of construction equipment at the time that they would often lease out to other companies involved in the same or similar projects. In the Fall of 1990, Can-Dive Services, Ltd., began work as a sub-contractor on a natural gas pipeline project between Vancouver Island and the mainland of British Columbia. As part of this project, the company chartered the derrick-barge Sceptre Squamish from its owner, Fraser River Pile and Dredge Company. Also included as part of the deal was an agreement for Fraser River personnel to operate the 150 ton crane and other machinery that was onboard the barge, although Can-Dive assumed the full responsibility for moving the Sceptre Squamish to the work site and for “maintaining the safety and condition of the barge”. As a result, the Sceptre Squamish was towed by Can-Dive to the worksite located near Comox on Vancouver Island on October 30, 1990. The Sceptre Squamish subsequently remained with an active crew at the work site until it was sunk during a violent storm on the night of November 16th, 1990. There were apparently no witnesses to the actual sinking, so no descriptions of the final moments of the vessel survive. Today, the remains of the Sceptre Squamish lie in about 180 FSW, sitting flat on the bottom as if the huge barge was still under tow. As the Sceptre Squamish sank and crashed into the bottom, the colossal crane that had been on her deck tipped to the side and came to rest in a position perpendicular to the barge. Both the wreck of the barge and that of the crane have attracted an ever increasing population of marine invertebrate and fish life, making the Sceptre Squamish a beautiful dive. The superstructure of the barge and the frame of the crane boom are both enshrouded with billowy white and orange plumose anemones, clouds of Rockfish hover over the wreck and huge Lingcod can be seen nestled in virtuallyevery nook and cranny to be found. Seldom will divers find more fish life than on this dive, and the size of the various species found here will take your breath away! Don’t let its relatively mundane beginnings as a wreck fool you. While the dives on the Capilano and Gulf Stream were straightforward in that each of them involved navigating in a loop (begin on one end of the wreck and circle back toward where you began), the Sceptre Squamish offers anything but a simple way to explore it. It’s very large and but for a few recognizable structures (like the crane), it’s quite hard to envision it in your mind as a ship, which also makes it difficult to maintain your bearings. Also, at around 175 feet, it’s considerably deeper than the other two wrecks, making trimix gas a crucial asset in diving the Sceptre Squamish. In a nutshell, trimix gas is made by replacing some of the nitrogen gas found in air or nitrox with helium, which is a much lighter gas that offers some unique advantages when added to the mix. By using trimix gas, a diver is able to maintain a much clearer mind when underwater, by minimizing the narcotic effects that nitrogen has on the body when it is subjected to great pressures. One must be properly trained and certified as a technical diver to use trimix gas at these depths, as each of our team members was qualified to do long before the trip, (i.e., “don’t do this at home”). As I descend down the line, at the tail end of the team diving the wreck, the first thing I notice is that the lights I see below are spread apart in a fairly random pattern. Almost immediately upon reaching the wreck, I’m separated from Josh, who I’d gone down the line with. Just one quick glance away or change of the camera settings can result in buddy-separation when diving in poor visibility. During a shallow dive and with abundant natural light, this is usually not a problem. At 175 feet in the pitch darkness and with loads of gear on, it’s tough to tell the other divers apart from one another. By the time I’m able to swim up to who I thought was Josh, I realize that it’s actually John Rawlings. A few minutes later we find Josh, and so we continue on as a team of three, (a great buddy ratio for a deep dive). After shooting Josh floating above yet another giant colony of Plumose Anemones, I notice a flurry of strobe flashes to my right. Whenever you see a rapid sequence of shots by a veteran underwater photographer, you can bet your bottom dollar that he’s found something good. So, a few frog-kicks and a 180° spin later and I’m alongside John, who had found what I can only describe as one of the largest Lingcods I’ve ever seen, nestled among some beautiful Cloud Sponges that were growing on a series of railings which I imagine were a part of an observation deck, or possibly the stern of the ship. John moves on and I float into position, immediately realizing that there is not just one gargantuan Lingcod, but three! All it takes is one errant kick of the fin or swipe of the hand to stir up a great cloud of silt, and visibility is deteriorating quickly. I fire off several shots and in so doing am grateful for the fast recycle time of my Sea&Sea YS-250PRO strobes. These large Lingcod are unlikely to hang around much longer, I think to myself. Considering proper framing and exposure, I review the photos in the LCD out of habit, and that’s when I see her. I was so focused on the Lingcod trifecta and the Cloud Sponges that I had completely missed the female Wolf Eel hiding in the shadows among the other subjects. My strobes had illuminated something that my eyes had missed. With a great exclamation, (I talk a lot, underwater), I’m able to get off just a couple more shots, this time with the Wolf Eel framed along with the Lingcods, Cloud Sponges and the railings of the wreck – all together – before two of the huge fish turn tail and swim off. Fist pump one. Fist pump two… these are the types of shots that make it all worthwhile to lug around a 45-pound camera rig. I look down at my Shearwater Predator display. I’ve been down here for 20 minutes; it’s time to start heading back to the boat. I signal John, and we begin making our way back – but back to where? Tough-guy tech divers don’t like to admit things like this, but I was lost. The wreck of the Sceptre Squamish is huge. And worse, it doesn’t much resemble a ship anymore, and so you have platforms, and holds, and twisted metal shapes protruding in every direction. From most vantage points on the shipwreck, you can’t tell which way is aft and which way is forward. So, we start swimming along, looking for cues and places we have and haven’t yet been on the wreck. My heart starts to pound a little, I’m salivating, my thoughts are beginning to speed up. I’m not panicking, but my body is giving me a shot of adrenaline, since I am very used to knowing my way around underwater – and at this point, I have no f-ing idea where I am. One thing that led to this scenario is that we underwater photographers continually alternate between gaining our bearings by sight, and looking through a viewfinder which distorts shapes and aspects into tunnel-vision. Add to this the need to constantly fiddle with fine-tuned controls and settings and the fact that we’re both flying rebreathers, and you’ve got a healthy serving of task loading. John and I soldier on in the direction that we think is correct, and after cresting a part of the ship’s structure we see a light beaming down at a us from about 15 feet above the wreck, beckoning us with its motion. It’s Josh, on the upline. He had found the line with Howard, who had to leave sooner due to the constraints of open circuit scuba on bottom time (explanation in another story), and had decided that it was in his buddy team’s best interest to stick to the line and to provide a reference as to its location, while John and I worked on getting the shots that accompany this story. Thank God for dive buddies like this. The three of us ascend and the rest of the decompression dive is uneventful. On the way up, I think to myself how small of an area we actually explored on the wreck. That’s okay, this is only the first of two dives. Calvin Tang's dive profile, recorded during the second dive on the wreck of the Sceptre Squamish, as captured by the ReefNet Sensus Ultra dive data recorder. The second dive begins with both of my primary dive buddies bowing out. Josh floods his suit through his wrist seal and John’s not feeling up to it due to an arthritic hip, (the ability to recognize this is what separates smart divers from foolhardy ones). So, underwater filmmaker Chris Newley and I buddy up, with the intent of finding the 150 ton crane that went down with the barge in 1990.This time, we’re not taking any chances on losing the upline. Chris generously offers to leave his video rig on the boat and instead operates a reel that he ties to the upline, leaving a horizontal line behind us, as we work our way along the shipwreck in what is now shrouded in murky, poor visibility. I think Chris has a good sense of direction, because he navigates right to the crane, based on the directions we received verbally from Captain Bill. The crane itself is monstrous and absolutely covered in life, but still is very recognizable as the construction machine that it once was. Sitting upright and fully intact, we swim along the crane’s latticed boom until we reach the operator compartment. Peering inside, I’m utterly amazed when I find the crane operator’s metal lunchbox, still sitting there as it must have been on the day of the Sceptre Squamish’s sinking. To see something as ordinary as a lunchbox – in such a foreign and inhospitable environment as the bottom of the sea floor at 175 feet, in pitch black saltwater – truly tickles the mind. I take a few photos, and am intent on capturing the branding on the side of the crane (see photo below). Once I accomplish this, we start back toward the upline, Chris diligently reeling up our reference line as we go. On the way, we cross paths with Canadian divers Dave Tomblin and Aaron Lackie. I throw up the shaka sign and a give them the thumbs-up, letting them know that we’re all good and heading back up to the boat. A nod of agreement and they’re right behind us. As Chris Newley unties the reel from the upline in preparation for ascent, I float upward, looking down at the Sceptre Squamish – soaking up one last breathtaking view of the barge, which stretches off in every direction, further than visibility will allow me to see. My mind wanders back in time, imagining the many people who called this torn-up, foreign structure their home or workplace, so many forgotten years ago. “This is why people dive shipwrecks”, I think to myself. How Was This Story Made? Our team selected the city of Courtenay for our base of operations on the East coast of Vancouver Island – not only is Courtenay a thriving community with a variety of available resources, it is also the home of Pacific Pro Dive, the dive charter operation that we had chosen for our wreck diving venture. Owned by Bill Coltart, a well-known rebreather diver, Pacific Pro Dive specializes in taking divers to the many deep wall and wreck dives that can be found in the Strait of Georgia in a huge area spreading out from Courtenay. A diving fanatic, Bill has dived the waters of the Strait for decades and has a wealth of knowledge that makes his services absolutely invaluable to his diving clients. When our team decided on the area we wanted to dive and the wrecks that we wished to hit, it was crystal clear who we wanted as our skipper. Additionally, noted Vancouver Island technical diver Vel Wilson came along as Bill’s “number 2”, acting as Divemaster and Dive Guide as well as assisting the team with everything from gear donning to providing entertaining tall tales of derring-do! This entry was posted in SCUBA Diving, Underwater Photography, Water, Wreck Diving. Bookmark the permalink. Post a comment or leave a trackback: Trackback URL. Great article, glad I could be there to share in it. Great read! As a total stranger to the realm of underwater exploration save being pummeled by waves when body surfing, I truly enjoyed this underwater tale. Very informative, accessible, exciting and colorful. Great photos….keep up the great work guys and BE SAFE!